The telling of stories should be a unique and special part of our culture . Many of us remember being told stories on our parents knee or in bed. I think this is part of the bonding process between children and parents. 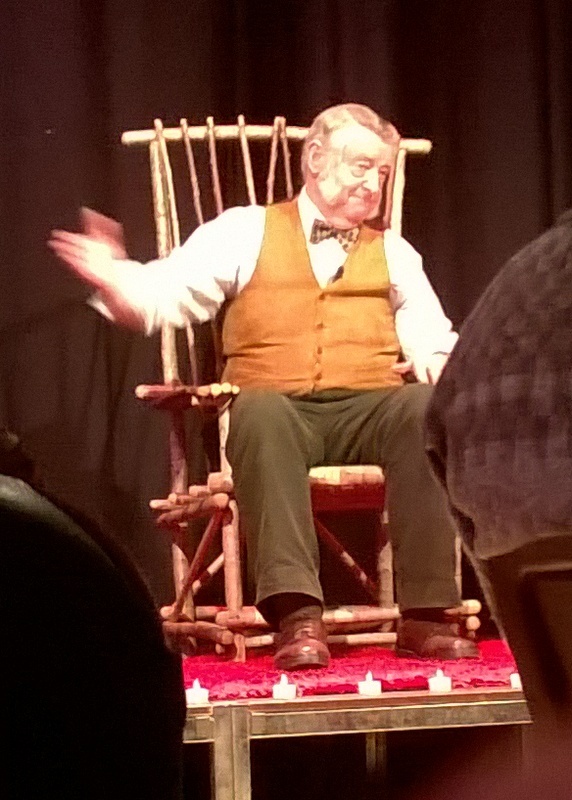 We attended last night the Mendip storytelling Circle which was in the local village hall in Farringdon. There were about 50 of us there and we were greeted by the sight of a very generous bread and cheese supper which I foolishly overindulged in and spent the next three hours disgorging the lovely local cheese. My problem is that I’m well for a few days, and I’m referring to my stomach situation, and then I think I’m free to carry on in my old ways. This is a big mistake. We had six stories, one was about a young man who was waiting in a forest for his young lady. Along came an old man with a waistcoat that turned out to be a magical garment. If the wearer took hold of one of the golden buttons and turned it clockwise he could go forward into time. First of all, the young man refused it saying it wasn’t suitable for him but the old man said, ‘take it anyway’. The young man fast forwarded his life to meeting the girl, marrying her, having a child, having a new house, and then he ‘fast forwarded’ again to when he was dead. He realised, too late, that he had been so impatient to get onto the next stage of his life that he had missed out on the quality of enjoying ‘the now’. There was another story about a young man who yearned for praise from his father and who only got it 30 years after he had first tried to prove himself by doing daring deeds.”it was worth the wait” said the son. What I enjoy most of all is the fact that people can use their imagination. The atmosphere in the hall was quiet, almost hushed, and I could see people drinking in the ideas and using their imaginations. Earlier on in the day we had gone to a course on evangelism. It was called New Expressions. Unfortunately it became obvious that the person who was running the first part of the course had yielded to pressure to do the job because he was not really identifying with the course material though the words were not incorrect. The problem is that we were under strength. There were only about 10 of us when the minimum for a lively group, or series of meetings, should be about 20. it was a lack lustre and forced event during which we had to discuss simplistic questions taking maybe two or three minutes before we had to stop and go on to the next point. I missed the joy, the spontaneity, the laughter. People were almost afraid to express themselves. Belief in God can either be the best or the worst thing that happens to you. What really annoyed me is that we had to fill in sheet saying how much we enjoyed the session, was it valuable, do we have any suggestions etc. I refused point-blank to fill in the forms because we were being asked for an instant reaction when very often the truth comes was when we are doing something else or occupied elsewhere. In other words you cannot control inspiration. We already have enough forms to fill in a moment without adding to them. I don’t mind filling in a form at the end of the day but not after each session of which there were three. How is that form filling supposed to improve the quality of anything. Today I read quite a long letter to the other participants expressing my concerns. Whether anyone bothers to read it I don’t know but I have done my duty of care. Sometimes you fire ideas off into what appears to be thin air but good comes of it somewhere along the line. In fact, it’s none of our business. Our business is to be ourselves. Previous Previous post: Illness – what to do? Next Next post: Is the BBC a waste of time / should it carry a health warning?